As a family dentist, Boss Dental Care in Corpus Christi serves all members of your family including your children. 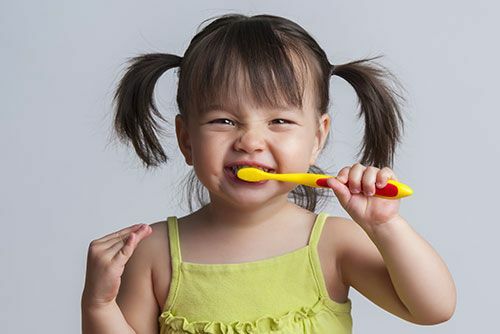 Pediatric dentistry is the dental treatment of children. Children are very different from adults both physically and psychologically. Baby teeth are different in their structure, size, and makeup and must be treated differently than permanent teeth. Children also are at different psychological levels of development at different ages and dental work must be completed in a manner which conforms to a child’s understanding and emotions. It takes a special touch to work with children. But they are baby teeth... Do we really need to fix them? Although deciduous (baby) teeth and designed to exfoliate (fall out), they are still important for a child’s oral and overall health. Tooth decay is the highest health issue that causes children to miss school. It is also the most prevalent preventable disease in children. When a child is in pain with a toothache, they can’t sleep well, study in school, or eat healthily. Oral disease has a direct impact on a child’s health and well being. And while he/she might lose their first front tooth at age 7, that baby molar with a cavity in it won't fall out until age 10-11. If a child loses a baby tooth too early due to decay, it could make it hard for the child to eat properly, to learn to speak properly and could allow shifting of teeth resulting in more crooked permanent teeth. So baby teeth are important to take care of and keep for their normal time period.